A soft and stretchy tank in Icebreaker's Corespun fabric, the Women's Siren Tank is a sleek, stylish and versatile layering piece for any day of the year. Icebreaker's Corespun fabric uses nylon fibers wrapped in Merino wool for added strength and durability that retains next-to-skin softness, while the Siren Tank's scoop neck and slim, flattering fit offer feminine style. 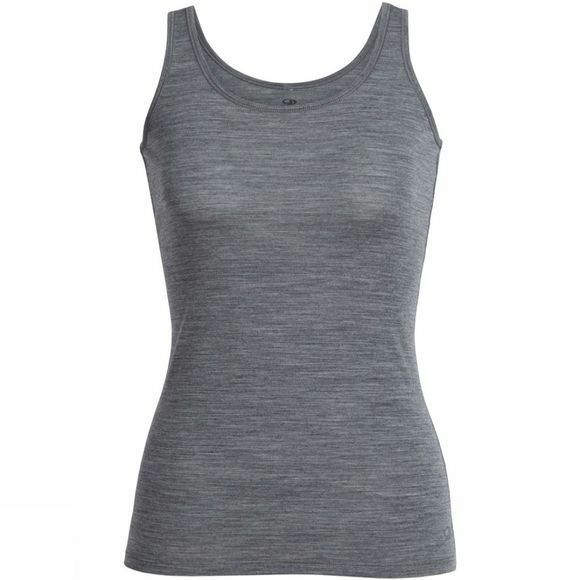 Layer this tank over the Siren Bra or under any midlayer for enhanced breathability and comfort.